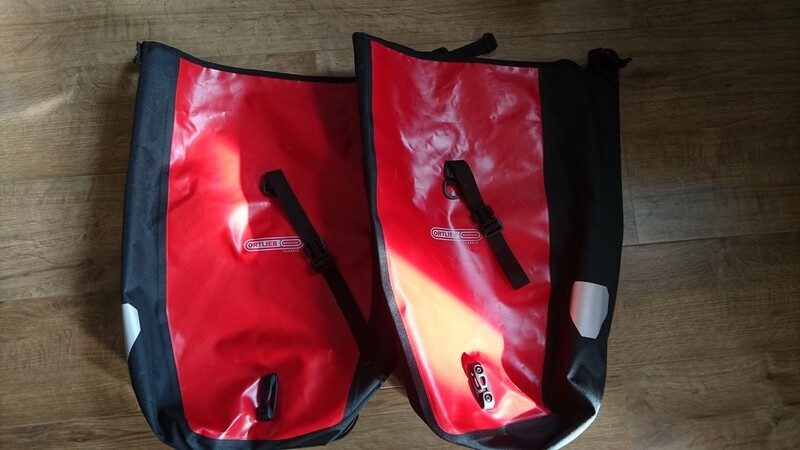 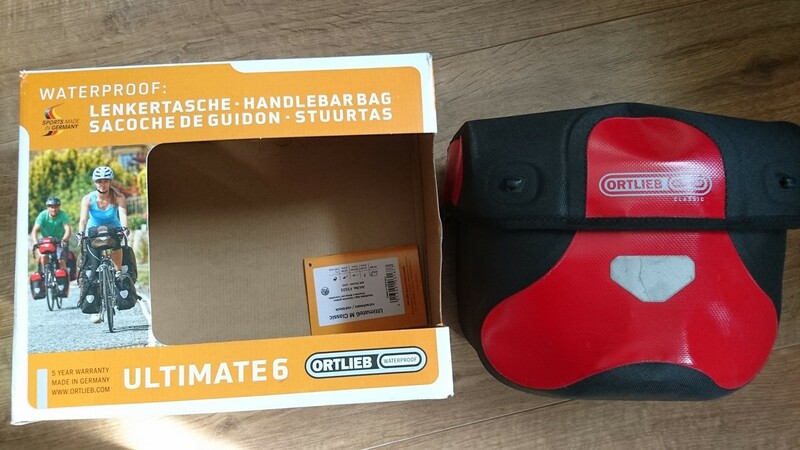 An Ortlieb Ultimate 6 Handlebar bag in red – it’s the 7l bag and I may just try source a bigger one as it’s quite small. 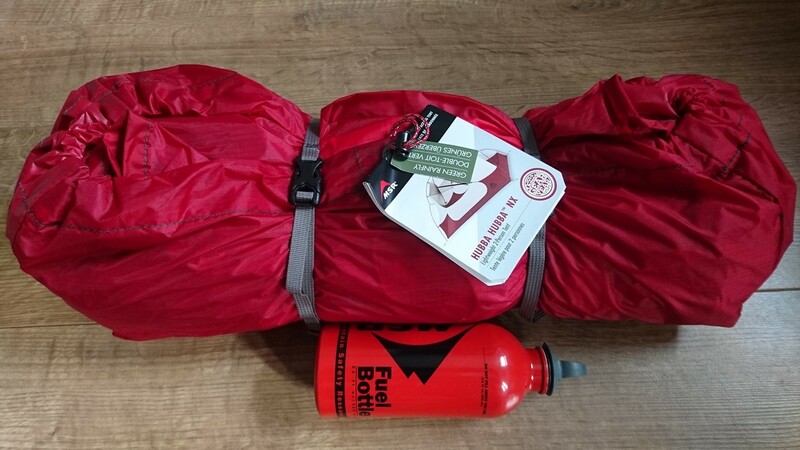 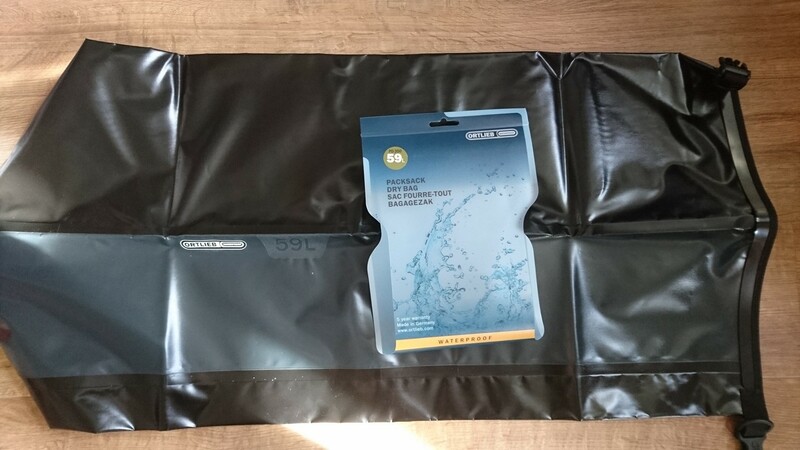 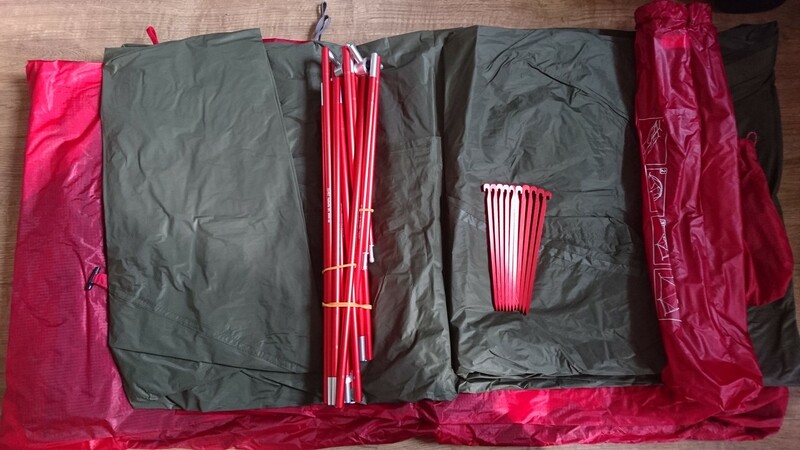 MSR Hubba Hubba NX tent with green flysheet but no footprint – I have to get that separately. 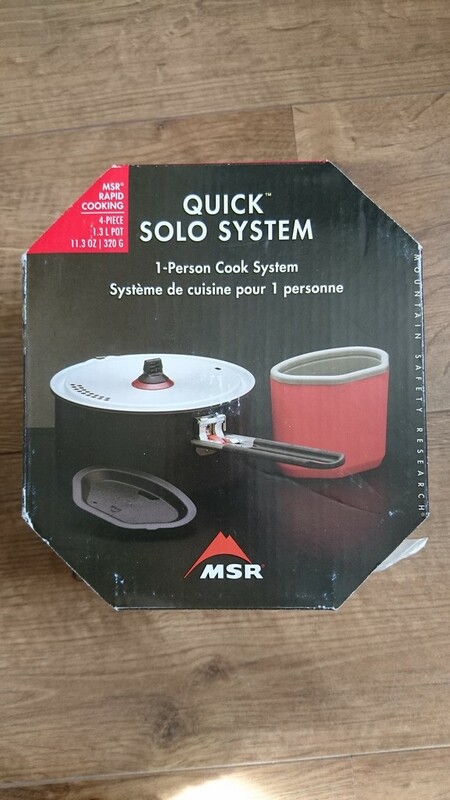 MSR Quick Solo cookset – a bargain from Millets, it’s a 1L pot and a mug. 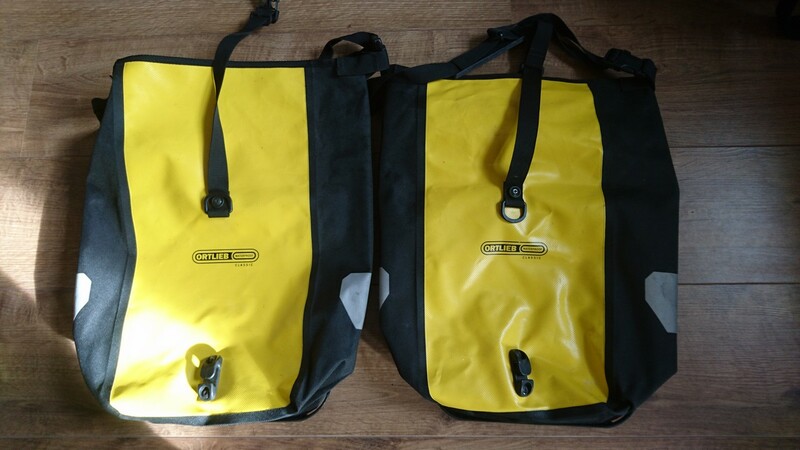 I will get a frying pan to add to this, the OEX Frysta probably. 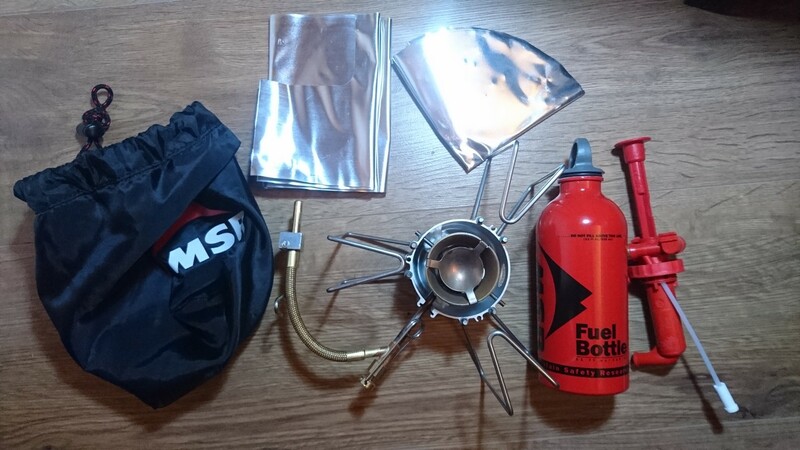 MSR Dragonfly with foil base, foil windshield, stove itself, fuel bottle and pump.